Wealthy dead American. Beautiful young widow. This case has PI Philip Marlowe’s name written all over it. Is it enough to bring him back for one last adventure? The year is 1988. The place, Baja California. Private Investigator Philip Marlowe – now in his seventy-second year – has been living out his retirement in the terrace bar of the La Fonda hotel. Sipping margaritas, playing cards, his silver-tipped cane at the ready. When in saunter two men dressed like undertakers. With a case that has his name written all over it. At last Marlowe is back where he belongs. His mission is to investigate Donald Zinn – supposedly drowned off his yacht, leaving a much younger and now very rich wife. Marlowe’s speciality. But is Zinn actually alive? Are the pair living off the spoils? Set between the border and badlands of Mexico and California, Lawrence Osborne’s resurrection of the iconic Marlowe is an unforgettable addition to the Raymond Chandler canon. Discover the rest of the inimitable Philip Marlowe series – nine classic Chandler adventures, from The Big Sleep to The Long Goodbye, available now in paperback and ebook from Penguin Books. Just the name Philip Marlowe straight away conjured images of Humphrey Bogart with a beautiful woman by his side for me, of course I had to age him in my mind as in this story he was in his 70’s and eager to take on just one more case. So with Marlowe magic written all over the blurb and the story reading in my mind in the voice of Bogart, I was in for a one sitting session with a clear don’t disturb warning written on my expression. Marlowe was invited by two men representing an insurance company, to investigate a substantial claim made by a young widow, after her aging husband had drown and been subsequently cremated very quickly. Was the husband really dead or was it a scam? Now this is a very slow burn read where I must admit to having to back track a little to make sure that I hadn’t missed anything. I hadn’t. But as the story went on I did get more into the style of the author’s writing. I began relax and enjoy the ride, the journey of getting there rather than just arriving. There are quite a lot of characters that sort of wonder in and back out of the story so it was a matter of which ones to retain that were of any relevance. I did love the descriptions of the places that Marlowe went to as the author really brought them to life. I had to smile as Marlowe had been quite a ladies man in his time and he could still appreciate a pretty woman in this story but these days, it was by thought, growing old eventually gets to the Casanovas too. His mind though is still as sharp as ever. Marlowe has class, that he will never lose. Chandler is a pretty hard act to follow. I felt that the essence of Marlowe was there but was also pleased that Osborne has put his own stamp on this him too. Many thanks to the publisher and NetGalley for an e-copy of this book which I have reviewed honestly. 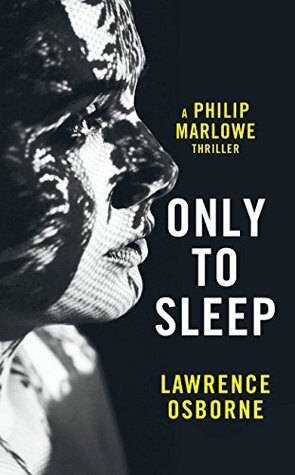 Born in England, Lawrence Osborne is the author of the critically acclaimed novels The Forgiven, The Ballad of a Small Player, Hunters in the Dark and Beautiful Animals. 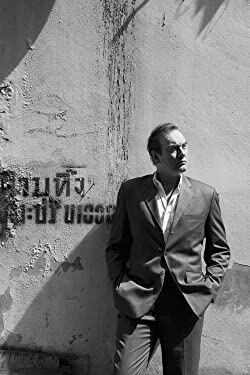 His non-fiction ranges from memoir through travelogue to essays, including Bangkok Days, Paris Dreambook and The Wet and the Dry. His short story ‘Volcano’ was selected for Best American Short Stories 2012, and he has written for the New York Times Magazine, Condé Nast Traveler, the New Yorker, Forbes, Harper’s and other publications. He lives in Bangkok. Enjoyed your review, but not sure about that cover.